Our company STELINKA, SALES OF COSMETICS, SIMONA ZUPANČIČ S.P. is a Slovenian distributor for the Janssen cosmetics. 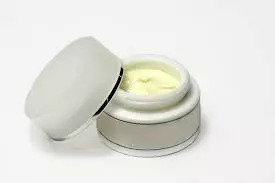 We ensure affordable sale of Janssen cosmetics for beauty salons and individuals, and we will gladly advise you and present you our products and make sure that you choose those that your customers will be completely satisfied with. We have extensive experience and expertise in the field of cosmetics. We constantly monitor the needs of our customers and we ensure that the offer is complemented with high quality products that meet all your needs. In addition to product presentation and advising, we also provide short delivery times and affordable prices. If you are interested in Janssen cosmetics sales in Slovenia, contact us and get to know our excellent offer.